"Dedicated to family, familia, families, familias". 2008. 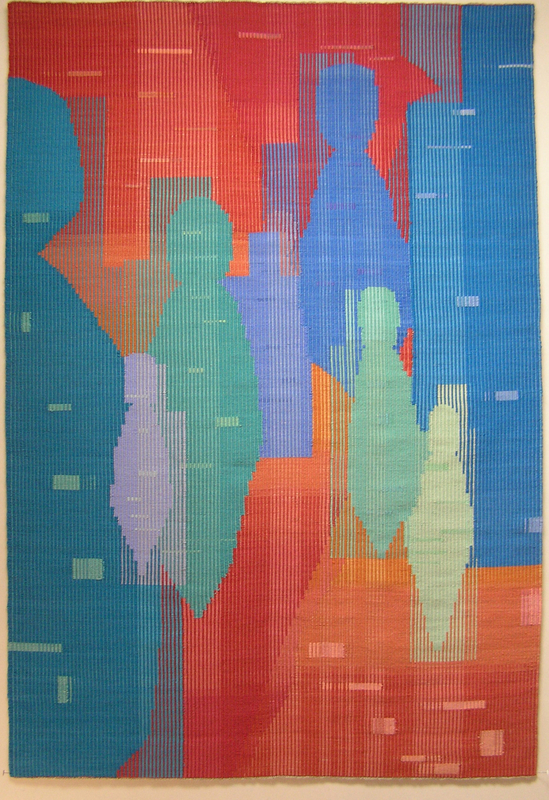 Hand dyed silk and wool weft woven on linen warp. Private collection.